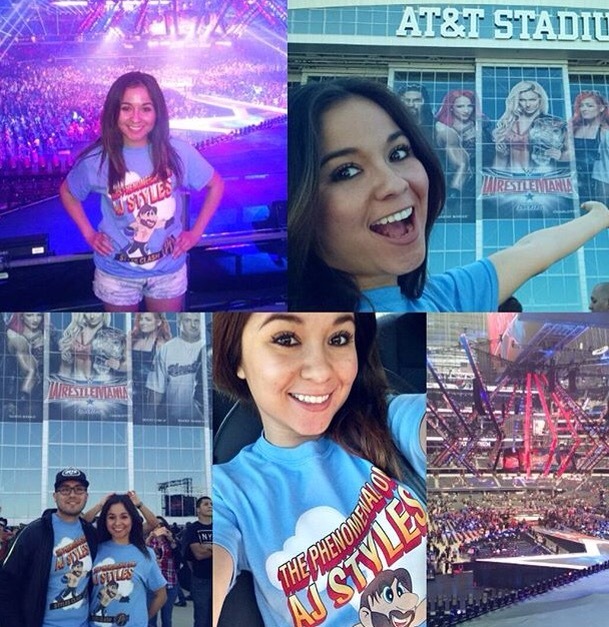 As some of you may know I headed down to Dallas this past weekend for Wrestlemania 32 and even though it was my fourth Wrestlemania, it was only my first time in Texas. And for those of you who haven’t been to Texas and have a predisposition as to what what stereotypical things you will see let me tell you chances are you won’t get that Texas experience especially if you’re going to the larger cities. Most of the events I attended were in Dallas, and for a city with many arenas and one of the largest stadiums nearby-there isn’t much to do in Dallas. The pros of Dallas were the inexpensive gas, beautiful reunion tower, overall clean streets and medium to little traffic. The cons of Dallas included lack of entertainment (non-wrestling related) hospitality, high souvenir prices, and the extremely overpriced and overrated Dallas World Aquarium. When I found out I would be heading over to Texas for mania I was expecting to see the typical symbols of Texas such as cowboys, horses, cactus, tumbleweed, etc. I did not see any of that until I headed over to the Fort Worth Stockyards on my last day of vacation. And even then I think it’s simply there for touristic value. If you don’t like to read Click here for my Wrestlemania 32 video log. 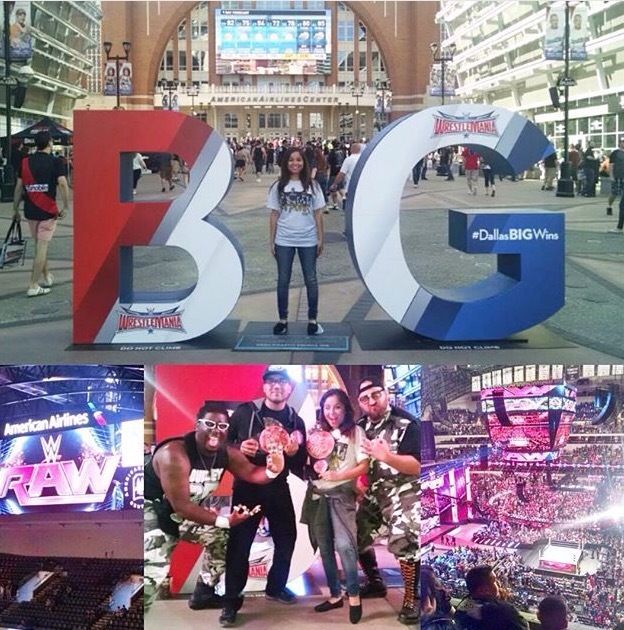 On my first day in Dallas, we went to the Kay Bailey Hutchinson Convention Center for NXT Takeover Dallas. It was by far one of the best shows I saw the entire weekend and definetly beat out last year’s takeover in San Jose. Best match of the night was Sami Zayn vs. Shinksuke Nakamura. The crowd was intense and it was over all an amazing experience. On the second. 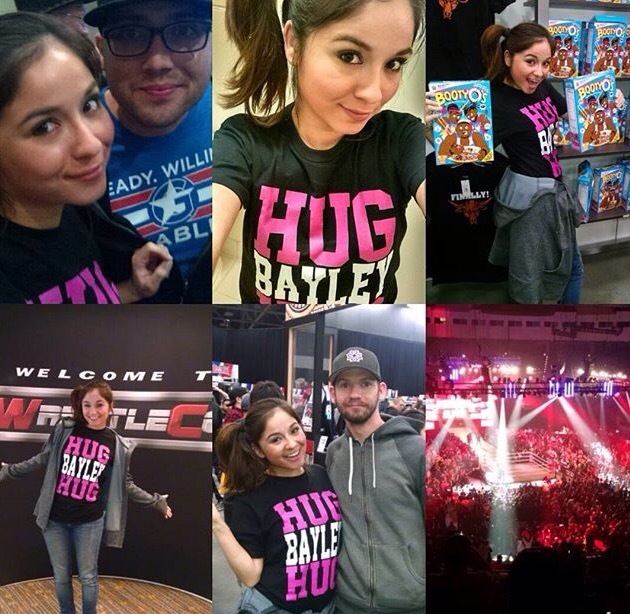 Day we woke up early and headed over to the first session of WWE Axxess. The reason I always choose to attend this event is because of the vibe and excitement you get here, this place really makes you feel like there is a celebration to be had. 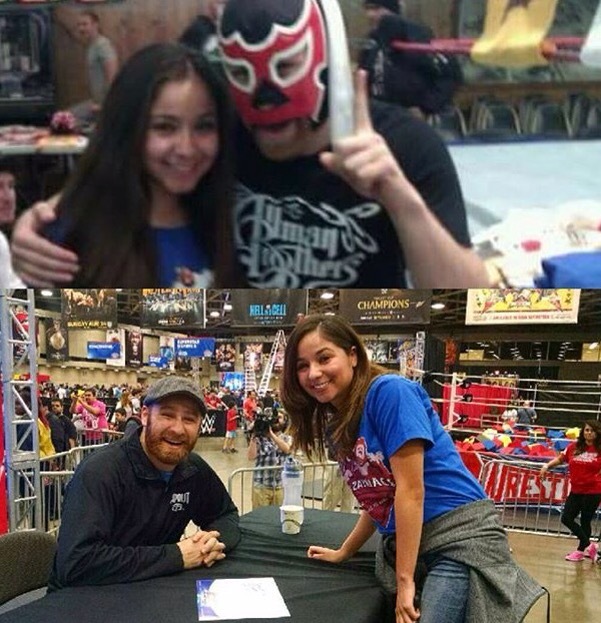 Even though it’s unorganized and chances are you will only meet 1 to 2 superstars there are a lot of photo ops and it’s the perfect place to do your Wrestlemania shopping before the big day at their Superstore. Later that night we headed over to Eddie Deen’s for the WWN Supershow. It was the only indie event we went to this year simply because of timing and schedules. Also, because of the six-man tag team match and because we knew Will Ospreay and Kota Ibushi would be there, we figured it was bound to be a good show. For me the only major points of the show were the opening and main event match as well as the atmosphere of the ballroom which fed my Texas desire with all the saloon decor surrounding the sold out show. Wrestlemania Day . By far the best mania I have attended. AT&T Stadium lived up to my expectations and more. It was extremely big and loud. The only cons about the stadium I would say are the lines. Even though they tried to be organized it was a giant mess. It took extremely long just to get to the metal detector when it should have not taken as long. One of the pros of the stadium were the parking options. Last year’s mania parking was terrible. The traffic was terrible and buying parking ahead of time didn’t mean anything. It was a disaster. As for the actual event my favorite match was the opening Intercontinental match . The rest of the show was exciting and even though the crowd didn’t favor many of the winners it was a memorable show. The biggest disappoint was the main event. For more on my actual thoughts click here to listen to the podcast I did following the show with Ruben Jay. Let me just start off by saying that last year’s RAW AFTER MANIA was way better. The crowd was hotter and the card was better. The only memorable parts of this year were the debuts of Enzo and Cas, and the fatal -four way main event. Although major props to AMERICAN AIRLINES CENTER it is one of my favorite places to watch RAW at. There is not one bad seat in the house and the vibe outside the arena is fantastic. On our last day we visited the. Forth Worth Stockyards. I absolutely loved and it will be doing a separate blog post for this location. 1. Purchase hotel and flight ahead of time. Be mindful that hotels know Mania is coming and will raise prices. Depending on the city avoid staying close to the actual stadium or in downtown simply because hotel prices will be insane. We booked our hotel half way between AT&T Stadium and American Airlines Center. It was way better driving to event locations. 2. For getting the most out of your Wrestlemania weekend I suggest being there Friday- Tuesday. You don’t miss much work and you hit all the major events. 3. Be on top of when tickets go on sale for Raw and NXT. Those tickets go faster than Mania, although for the best possible WM seating buy soon. Avoid paying more than face value due to high prices. 4. Expect to spend money at the WWE Superstore. You will find things you want to buy that don’t cost nowhere near a penny. 5. Research everything ahead of time, I can’t stress this enough. 6. Find out what indie events are running, they are some of the most entertaining shows you will see. Best to purchase General Admission tickets so you won’t spend as much . 7. Don’t over pack. Shorts, pants and wrestling tees are pretty much all you need. Also depending on your itinerary of course. 8. Parking at Wrestlemania will be expensive, plan to spend anywhere between $20-$60. Don’t pre-buy, it’s not always guaranteed especially if the parking is a disaster. 9. If you want good food, eat before events. Unless you want expensive concessions that don’t completely fill you up. 10. 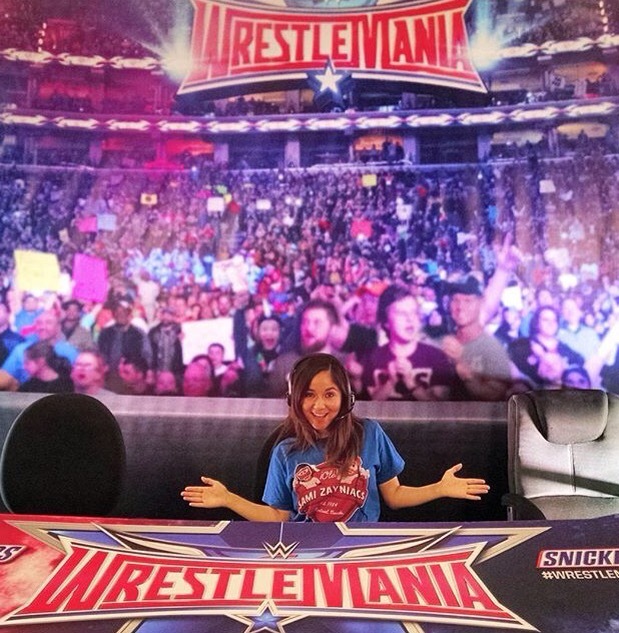 Don’t expect to meet the wrestlers you want at Axxess unless you over pay for VIP Tickets. And unless they announce NXT matches for a particular session they won’t sell out, so you can purchase tickets later. Do expect long lines.